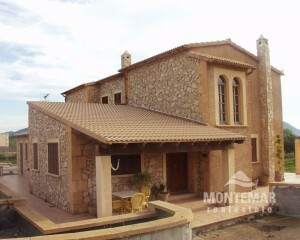 Luxury Fincas & Villas for Sale in Son Servera | Montemar S.L. Llevant is a landscape on the Balearic island of Mallorca: Son Servera, which is part of the eastern part of the island, belongs to this region. The "landmark mountain" of Puig de sa Font offers not just a beautiful landscape in the immediate vicinity, but also all the opportunities for leisure activities in sync with nature. Impressive buildings, magnificent seaside stretches: all this is ensured in Son Servera. Historical flair and modern style coexist here in friendly unity - there are no restrictions in everyday life. Magnificent churches, the monument to the terrible plague epidemic in the village, the charming design of the town centre - this meets modern shopping opportunities, medical care and a good infrastructure. In Son Servera itself and the surrounding area there are always great properties available for sale. Wealthy mansions, some imposing villas or modern luxury Finca's are often on the market. Finding properties in this price category on your own presents prospective buyers from abroad with several challenges - including language barriers, numerous time-consuming sightseeing tours and much more. Let Montemar Real Estate present you offers that are tailored to your specific interests, making it simple to find what you are looking for and saving many hours of your precious time.